The Perfumer's Workshop fragrance and perfume list. The Perfumer's Workshop fragrances: Founded by Donald Bauchner in 1972, The Perfumer's Workshop is a fragrance manufacturer of the Tea Rose perfume, Samba women's perfume line, Mariachi men's cologne line, and the Zipped Man fragrance line. The Perfumer's Workshop International operates a scentshop. 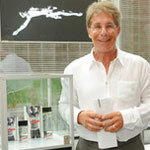 The company is a manufacturer and wholesaler of perfumes and fragrances, as well as fragranced personal care products. Its scents include the Tea Rose fragrance and Samba Masterbrand for women as well as the Mariachi line of men's fragrances, and Zipped Man fragrances. The company is owned by president and CEO Donald Bauchner, who founded the company in 1972.